The Chinese New Year (year of the Pig) starts Tuesday, February 05th. As is tradition, it will be a day of family reunions and celebrations on the street to commemorate the arrival of the new year. Enjoy Asian culture in any corner of the world! Fifteen days of celebration go a long way and Chinese citizens and other nearby countries influenced by this culture and the lunar calendar live it in a very intense way. It’s funny how there is time for everything: to be with the family, to meet with friends, to cook or to go out on the street. Traditions and superstitions are everywhere and those days do not take a step without thinking about them. The fish, for example, is placed in the houses to attract abundance and if it is red it will serve to scare off the Nian, the beast. On the doors, the Guardians are placed to defend those who live there from the presence of evil spirits. The walls and facades are dyed red, symbol of good luck and traditional ravioli are made in the kitchens of the whole country. The houses are swept and cleaned, in addition to leaving all the debts paid to enter the new year on the right foot. WHAT IS DONE EVERY DAY? As is tradition, during the first day of the year meat is not eaten to have a long and full life: it is a way to receive the gods of heaven and earth. In addition, it is the great day of the Dragon dance, the highlight of the Spring Festival, as the New Year is also known. The Chinese Dragon is the symbol of wisdom, culture and wealth. It is one of the most important emblems within the Chinese culture and, during the dance, the artists hold the dragon on posts making it go up and down, giving the impression that the Dragon “dances” as it passes between people accompanied by gongs and drums. The Lion is also part of the parade and, unlike the Dragon, is usually handled by a single artist and goes through the doors of houses where they have left a red envelope with money and a lettuce, symbol of life and wealth. In the parade that runs through the different streets of the cities of the world, it should not be forgotten that this parade is organized internationally, there are also exhibitions of martial arts and different dances. In the following days, the children and the ancestors are the protagonists: a day is dedicated to pray to the ancestors and the children pay homage to their parents. The fifth day is the time to stay at home, since bad luck will haunt you if you decide to visit your family or friends, so take good note if you are in China during those days. In the days before the end of the New Year, delicious dinners are organized to entertain the family and, in addition, the farmers show the riches of their land and make offerings to the Jade emperor. The celebration of the New Year can not end without the Lantern Festival, where children are the main protagonists with their lanterns illuminating the darkness of the night. The Chinese horoscope brings for this 2019, called the ‘Year of the Pig’, pure energy, creativity, abundance and surprise. Throughout the twelve months of his reign, the pig appears to be a political and social roller coaster, but on a small scale. In the family, in what is at hand, the year of the pig is a time of achievements and joys. However, although for us the new year begins on January 1, the Chinese horoscope begins on February 05, 2019 (4713 in the Chinese Hsia calendar) and will end on February 6, 2020 (4714). Do you want to know the predictions for each sign, according to thechinesezodiac.org ? RAT Those born in 1900, 1912, 1924, 1936, 1948, 1960, 1972, 1984, 1996. This year does not represent any relevant eventuality other than the possibility of being emotionally stable, but the situation is presented in a very subtle way, difficult to read for the one who is experiencing it and even less for any spectator. It’s like riding a horse: it’s hard to see the equine’s legs while it’s on its back. The rat will still be emotionally tired from the experience of the year of the horse, so you should take advantage of the year of the pig to regain strength and relax. The pig and the ox collide a little because they are opposite signs and have completely different expectations about what life should be. This is due to the fact that both the buffalo and the pig are called “cellars”, that is to say that in addition to the ground energy yin proper to their signs, inside they have two other energies that are also antagonistic, but that are sufficient to produce residual beneficial energy. . The buffalo must be calm and be carried away by the madness of the pig without feeling threatened or taken to heart any injury. It is possible that during the spring have some conflicts related to emotions, but nothing serious. It will be quiet in general; However, there will be small changes that will change your life again, but in the natives of the tiger those cycles are very well defined by their personality and their habits. What before seemed essential to him, he now considers it superfluous. The pig is one of those signs that brings noticeable changes, beneficial and very well defined because the tiger emotionally opens in a positive way before the influence of the pig. So, to take better advantage of what is coming, it must be organized very well. There will be great success, but the rabbit woman will be more difficult to obtain recognition from her relatives; therefore, if you stop waiting for your effort to be recognized and you benefit only the benefits you can enjoy this year without getting frustrated by not receiving diplomas and degrees, or by not having time to socialize. The rabbit is a creature that walks the earth thinking that it is not doing as well as he would like, but everyone knows that the rabbit looks like a cat: it always falls on its four legs. The year of the pig can offer the rabbit everything it needs. This is his year, although the pigt is celebrated in the astral banquet. !! Congratulations!! You will live a very busy year. That is no surprise to him, because the last five years have not stopped working in the sun and in the shade. It seems that there are no holidays nor will there be any this year either. But, since the dragon is always in his world, always busy with the great ideas that occupy it, sometimes he does not even realize that he is exhausted. There are few dragons that do not do what they like. This year gives him the necessary strength to achieve this transcendental purpose, to legalize what is legalizable, to put in order all the papers and especially the heart, since he will feel eager to settle down and start a family. The Chinese year is almost over, governed by its own sign, on February 18th. The pig will bring you many pleasant surprises, a bit of calm to heal wounds and health. Oh! Health is the one that went the most for the drainage in that chaotic year. But from February 4 you will feel better and you can enjoy the mimes of the pig, which will welcome you with hugs, art and, above all, good company. This will be the year of forgiveness and love. This is the year itself. It means that this year will be of internal exploration, self-criticism and constant examinations. All the goats of the world will be inspired. You will feel the great need to focus almost obsessively on your career and your family. This approach will make the most creative goats bring out all their gifts, their ability to make the world a more livable place. Because it is the year of the pigt it probably suffers less in its own year, but to take advantage of that self-control, the goat has to learn to give in and be less stubborn. A very intense year is coming. Kinder for the monkey men than for the women of this sign. Love is the great liberation, the opportunity to evolve and be better. 2015 is the appropriate year to achieve a good balance. But the monkey has to be more disciplined and clear than usual, because the pig year will go like water and soon it will be his own year that is never simple. It will be of vital importance to pay attention throughout this year and leave everything in order. In this way, the transit during the year of the monkey (2016) will be smooth, and the monkey can become immortal monkey gods, rogues and free. It is the most ambitious of the signs of the zodiac and is attracted especially by the energy wood, since its metallic nature is ambitious and this energy is what generates more wealth for the rooster. Until it becomes an “energetic energetic” very prone to bad mood, especially women of this sign, this is a symptom of many complex energetic movements. The best way to control this impulse of energies is through spirituality, meditation and the different disciplines that exist to master it. If the rooster is willing to face his high and low passions, if he relaxes a bit and enjoys the trip without resistance, this year could be of self-discovery and peace of mind. He was very busy during the year of the horse and the pig shows no sign of stopping the whole train. The combination of energies produced by the pig in the dog provokes attachments, the need for recognition in the couple, insecurities and, in extreme cases, the complete denial of love and eroticism. This year the pig will be excellent and very desired, since for the pig, although it has very good luck in general, these last years have been difficult, especially for those born in boreal spring / southern winter, regardless of the Energy. This whole year is about concentration, genius, openness to innovative ideas. The pig protects the pig and gives it a vigorous and beneficial energy, which brings good ideas, privileged memory, strength to work on what interests him most, mental acuity and above all, opportunities to stand out in society, which will attract him fortune . This will be a much better year for the Capricorn natives in different aspects of their lives, although things may not work out for them. In any case, these natives need to catch up on the important issues in their lives. Capricorn and love in 2019. Love will not be a problem for the Capricorn who have a partner, because this will be a pleasant year in which they will be able to go a little further in everything they have to do. However, it is important that they cease to be so introverted people and count more on their partners to achieve goals as well as to improve trust in the relationship. On the other hand, we must say that these natives should not stop being romantics and retailers as they have been until now, because this is something that helps them improve their relationships and make them new and special every day. In the case of those who do not have a partner, we must say that the year will bring you very good times with a person who is close to you and who still does not see you as a couple. The truth is that during the year they will get closer, which can end up being a great relationship and great success. The work and the economy will be the most complex part that these natives are going to have in this year and it is that there are not going to be many improvements in any of them. Those who have a job, can simply continue to advance as they do now, without having many expectations that their situations change. In fact, if you want this to happen, it is important that you look for improvements in your results and get better presentations. In the case of those who do not have work, the year will not end up being the best and is that they can find little things or not find anything. Anyway, they will have help that will help them to continue with their lives and they will have time to make a change in their life if they look for training that is appropriate to the new labor market. The economy, for its part, will not be in one of its best moments, but things will go marching for these natives, because they will have the help of all their relatives and friends. Capricorn and health in 2019. Good health for the natives of Capricorn in 2019 and is that the small ailments or problems they had will disappear from their lives for a few months. It is a year in which they will feel full of energy and it will not cost them to make a good diet and find time to take care of themselves. Those who are with some health problems, will see that this year things will improve and in some cases, they will even be able to eliminate some medications from their lives. Capricorn and personal relationships in 2019. Relationships with friends will be very good and the Capricorn will be able to enjoy their friends and their leisure time with them. On the other hand, we must say that these natives will feel good with the friends of all their lives, because they already know them and will not ask them questions that make them feel uncomfortable. The new friends will have to adapt to the Capricorn way of being and this can lead to some discussions and differences that will be resolved over time. The family, as always, will be the mainstay of these natives and they will feel comfortable and as safe at their side. We are before the most responsible men of the horoscope: those who know how to wait, those who listen before speaking, those who wait for the moment to do no harm to act, those who never have a hurtful phrase and do not take advantage of the weaknesses of others … If you want to summarize the native men of the sign of the hippogriff under a word that must be “integrity”. Men born under the sign of Capricorn believe in the links (not only in the family, but in those we have with the any form of life, with the Earth, with the stars) and live in respect of those unions, in honor of everything with which he feels connected. He is a deeply spiritual being who sees no difference between what he believes and what others believe: he considers that we are all children of the same principle, that inside each one the same sacred flame beats. In love the native men of Capricorn follow the same maxim. They love their partners as a deity, and nothing can separate them from that worship. They go out of their way in details and care, and they can be overwhelming in their zeal to satisfy each of their love’s desires. Nothing can stand in the way of the happiness of the person they love. They take this maxim to the extreme and can sacrifice their own happiness for the sake of the happiness of their partners, family and friends. As Capricorn parents are admirable: they take care of every detail of the education and health of their children, they watch over their security from sun to shadow, and they do not skimp on expenses and efforts to provide them with the necessary and to fulfill each and every one of them. your whims They live as if there was a golden thread between them and their children and partners: they attend to the vibration before the call for help is heard. And they come promptly and accurately to help those who need them. Their homes are oases of love and calm, where every person is invited: their table is generous and does not know exclusions. For the natives of the sign of the hippogriff life has a necessary hardness, and therefore they are supportive and generous with every person, with every form of life. These are women who tend to direct social causes and promote changes in the name of the most vulnerable. They believe in the sacredness of all living things, and fill small ceremonies with their lives. They need to feel that existence is a celebration to which all are invited. The natives of the sign of Capricorn are tender and serene. The kind of spirits that remain calm even in the harshest and most adverse situations. It is not that their fate is apathy: they do not offer easy consolations in the face of problems, because in the face of any adversity they go to work, shoulder to shoulder, and never give up. If there is a word that can be used to define the natives of the sign of Capricorn, that is “temperance”. Capricornians know that serenity is necessary to avoid the mistakes that hurry and lack of information. The Capricorn wait until the precise conditions to act arrive. It seems that before a problem they are immobilized, but the truth is that once they know they must act, they do it without their pulse failing. L’année du cochon 2019 – une année excellente! Une fois que le Nouvel An occidental va et vient, un autre jour férié entre immédiatement dans l’esprit de beaucoup d’Asiatiques: le Nouvel An lunaire. Largement célébré largement dans toute l’Asie, la fête est également connue comme le Nouvel An chinois ou la fête du printemps. Chaque année du calendrier lunaire est très symbolique, et de nombreuses traditions sont suivies dans l’espoir d’un bon départ. Quand est la nouvelle année lunaire en 2019? Selon HoroscopeChinois.guru , la nouvelle année lunaire débutera le 5 février et durera jusqu’au début mars. En Chine, les gens ont une semaine de congé (lien en chinois), bien que les célébrations puissent durer beaucoup plus longtemps que cela. C’est l’année du cochon et, d’après la tradition, il est généralement connu comme l’année de votre grand-duc, qui n’est généralement pas une année sans heurts pour ceux qui sont nés dans l’Année du cochon. Cependant, cela signifie réellement qu’il pourrait y avoir plus de stress que d’habitude, plus de pression, plus de défis et un peu d’incertitude émotionnelle. Cela ne signifie généralement pas des problèmes majeurs. Bien qu’il s’agisse d’une année grand-duc, il y a deux étoiles de bon augure que ceux qui sont nés dans l’année du cochon peuvent tirer parti des énergies qui se manifestent pour transformer l’année 2019 en une année fantastique. Elegant Seal star convient aux créateurs, aux designers, aux architectes, aux écrivains, aux auteurs et aux artistes. Même si vous n’êtes pas dans une quête artistique mais que vous avez l’intention d’entrer dans le domaine de la création, c’est une bonne étoile pour cela. Ou si vous abordez un sujet lié aux arts ou à la créativité, ou si vous essayez de concevoir quelque chose de nouveau, l’étoile Elegant Seal est une bonne étoile à ces fins. Toutefois, si vous n’avez pas l’intention de choisir une nouvelle compétence ou une activité secondaire, cette étoile a un effet secondaire: la solitude. L’étoile Elegant Seal n’est pas bonne non plus pour la communication et la connexion. Cette étoile signifie que pour cette année, beaucoup de gens vont faire attention à vous ou observer ce que vous faites. Donc, si vous faites partie de ceux qui aiment l’attention, c’est une de ces années au cours desquelles les gens porteront une attention particulière à vous dans votre travail ou vos performances scolaires. Il est donc possible de saisir cette occasion pour jouer pleinement son rôle cette année. Cependant, si vous êtes timide et que vous n’aimez pas l’attention, vous y trouverez beaucoup d’attention non souhaitée et cela peut être frustrant. Il y a quatre étoiles négatives, qui indiquent certains problèmes émotionnels. La star du Grand-Duc affecte davantage les personnes âgées, alors prenez bien soin de votre santé si vous êtes un adulte. Il peut y avoir des blessures cette année pour ceux qui sont nés dans l’année du cochon. Faites attention et faites des examens médicaux. Prenez également soin des problèmes d’estomac, de problèmes digestifs, des muscles et de la peau. Votre travail peut ne pas être apprécié malgré beaucoup d’efforts. Parfois, les personnes autour de vous peuvent ne pas prendre conscience de votre dur labeur. En outre, il est possible que vous ne sentiez pas une connexion avec les proches qui vous entourent. Cela ne cause pas vraiment de préjudice physique, mais peut causer un peu de solitude émotionnelle. Ce n’est pas un gros problème et n’affecte pas vraiment votre richesse ou votre performance professionnelle. En fait, vous aurez plus d’énergie en 2019 et si vous mettez cela dans votre carrière ou votre travail, vous aurez peut-être une excellente 2019. Le Nouvel An chinois est l’un des événements les plus colorés du calendrier, lorsque les gens descendent dans la rue en Chine et dans le monde entier. Les célébrations mondiales sont une explosion de lumière et de son, impliquant le son de la cloche, l’allumage de pétards et l’observation des danses traditionnelles du lion. Le zodiaque chinois suit un cycle de 12 ans. Ceux qui sont nés en 1958, 1970, 1982, 1994, 2006 et 2019 sont connus sous le nom de chiens. Selon l’astrologie asiatique, votre année de naissance et l’animal qu’il représente dépendent beaucoup de vos traits de personnalité. Bien que chacun des 12 animaux ait une sortie tous les douze ans, il en existe différentes variétés et 2019 sera la première année du chien de la Terre depuis 1958. Toute personne née dans une année de chien de la Terre sera communicative, sérieuse et responsable sur le lieu de travail. Le cochon, douzième signe zodiacal du calendrier chinois, a comme agent principal l’élément Terre sous sa forme Yang. Sous une forme d’énergie secondaire, le chien porte également en lui les éléments Fire et Metal, également dans leur polarité Yang. 1. Ajoutez le jour et le mois de naissance et réduisez-le à un seul chiffre. Dans ce cas, ce sera: 5 + 3 = 8. 2. Ensuite, réduisez l’année 2018 actuelle à un seul chiffre. 2 + 0 + 1 + 8 = 10, 1 + 1 = 2. 3. En ajoutant les deux nombres, 8 + 2 = 10 = 1 + 0 = 1, vous obtenez 1 comme numéro de votre année personnelle pour 2018. En savoir plus sur horoscope-annuel.com . Selon la prévision de 2018 numéro de numérologie 1 est principalement sur les nouveaux commencements dans votre vie. D’abord, vous expérimenterez une révolution spirituelle dans votre vie cette année. Ce sera aussi une année de transformation personnelle et le début de nouvelles explorations et aventures. Numérologie un pour 2018 prédit également que vous allez compléter vos projets, donc atteindre vos objectifs. Vous devrez également faire face à des défis négatifs sur votre chemin vers le succès. Cependant, vous surmonterez ces défis avec beaucoup de facilité. De plus, les objectifs que vous vous fixez pour atteindre cette année sont réalisables si vous travaillez dur et fixez vos objectifs correctement. En conséquence, il y aura beaucoup de progrès dans votre vie en 2018 selon votre lecture de la numérologie. L’horoscope de la numérologie 2018 pour les prédictions numéro 2 d’une année favorable. C’est une année où vous atteindrez vos objectifs. Cependant, pour atteindre ces objectifs, il faut maximiser leur potentiel. Rien n’est facile dans la vie. Il faut travailler dur. De même, vous devez travailler en équipe. Ce n’est pas une année pour se concentrer sur vos propres activités. Deux esprits valent mieux qu’un. Par conséquent, le succès ne viendra à votre rencontre que si vous obtenez l’aide des autres. En outre, interagir plus cette année. Faites de nouveaux amis et étendez votre cercle social. Dans le processus, faites attention que vous ne gâchiez pas de vieilles amitiés. Renforcez vos amitiés existantes en créant de nouveaux liens. Plus important encore, les défis sont voués à venir à votre rencontre. Être averti! Avoir un plan approprié en place pour vous de surmonter ces obstacles avec beaucoup de facilité. Le numéro 3 – 2018 Horoscope Numérologie prévisions sur le succès personnel. En d’autres termes, cette année, vous êtes le seul moteur de votre succès. Personne ne devrait faire obstacle à votre succès. Par conséquent, vous devez être concentré. De même, vous devriez être prêt pour les nouveaux développements que vous êtes susceptible d’affronter. Beaucoup de transformations personnelles sont requises de vous cette année. Par conséquent, vous devez utiliser votre potentiel au maximum. Ne laissez rien de côté tant que vous n’obtiendrez pas ce que vous voulez dans la vie. Tout pouvoir et énergie supplémentaires en vous devrait également être pleinement exploré. Tout en faisant cela, laissez votre instinct vous guider avec votre numéro de l’année personnelle. En 2018, vous devez être diligent et déterminé pour réussir. La numérologie 2018 prédit une année réussie si vous êtes déterminé et prêt à réussir. Par conséquent, vous devez disposer d’un ensemble de cibles réalisables. Ensuite, soyez cohérent et systématique dans la mise en œuvre de ces objectifs. En attendant, apprenez de nouvelles techniques qui vous aideront à atteindre vos objectifs. Plus important encore, votre santé devrait être votre priorité dans votre liste de tâches. Lorsque vous faites de l’exercice régulièrement, vous serez en forme à la fois mentalement et physiquement. Enfin, soyez minutieux et persévérant et le succès sera à vous. En tant qu’idéalistes idéalistes du zodiaque, aucun signe ne croit au pouvoir transcendant du véritable amour tout à fait comme le Verseau. Mais ces âmes vives sont si facilement distraites par leurs propres cerveaux électriques et leurs opinions en mouvement, c’est un vrai défi pour les Aquariens de décider ce qu’ils veulent par amour et respecter leurs normes. Les anticonformistes farouchement indépendants et rebelles, ceux qui sont nés sous le signe du Waterbearer sont notoirement lents à prendre des engagements fermes et rapides, surtout quand il s’agit de donner leur coeur. Ces signes grégaires et socialement agiles recueillent des amis comme les affaires de personne; il est sûr de dire que le Verseau typique valorise l’amitié au-dessus de la romance, inspirant ces gens à chercher un meilleur ami qui respectera leur liberté et stimulera leur intelligence brillante et curieuse dans leurs partenaires. Une fois que vous l’aurez prouvé, le Waterbearer ira sur la pointe des pieds dans une relation décontractée et dans une relation aventureuse, souvent imprévisible. Préparez-vous à avoir beaucoup de piquant dans ce partenariat – tant que vous pouvez suivre, vous êtes sûr de rester diverti, captivé, apprendre constamment et explorer avec votre amour Verseau. Lisez la suite pour un guide complet pour comprendre, aimer et vivre avec Verseau, les révolutionnaires optimistes et insaisissables du zodiaque. L’écrasement sur le Verseau est à prévoir, grâce à leur manque magnétique de conscience de soi, d’intelligence mondaine et de popularité. Le 11ème signe du zodiaque est si indifférent et incarné par les opinions des autres sur leur mode de vie souvent excentrique et leur personnalité décalée, tout le monde a juste à découvrir qui ils sont et de quoi ils parlent. Il y a rarement de l’ego ou de la bombe à ces gentilles personnalités; Le Verseau ne se soucie pas beaucoup d’être adoré ou placé sur un piédestal. Ils veulent simplement que leur esprit indépendant soit respecté et autorisé à faire ce qu’ils veulent s’il le souhaite. Naturellement, les Waterbearers rassemblent plus que quelques prétendants et admirateurs pour leur attitude rebelle et progressiste. Non seulement le Verseau est un signe d’air, mais il est également régi par la 11ème Maison des Amitiés, ce qui signifie que les priorités du signe se situent en dehors des rencontres amoureuses et de la romance. En fait, la plupart des Aquariens accordent plus d’importance à l’amitié qu’à l’amour et à la passion. Ces personnalités peuvent passer de longues périodes sans dater, intimité ou même sexe, mais elles ne peuvent tout simplement pas survivre sans un bon débouché social et beaucoup d’amis. Donc, ces signes ne seraient jamais envisager de sortir avec quelqu’un qui n’était pas un ami – ou du moins un cher ami – d’abord. On pourrait penser que la nature amicale et détachée d’Aquarius les rendrait prêts pour beaucoup de relations NSA, mais ce n’est pas nécessairement le cas. Puisque le Waterbearer est un signe fixe, ils peuvent être très têtus et gravitent vers la monogamie une fois qu’ils sont accrochés. Pourtant, Uranus imprévisible dirige le Verseau, de sorte que l’on ne sait jamais dans quel sens le vent va souffler avec ce signe bizarre! Êtes-vous à l’écoute et au courant de toutes les questions humanitaires et sociales qui sévissent dans le monde? Tu ferais mieux de te familiariser avec ce qui se passe; Le but premier de Verseau dans la vie est de rendre le monde meilleur. En fait, vous avez peut-être rencontré votre Verseau lors d’une manifestation, d’un rassemblement ou d’une réunion d’organisation politique. Ne vous attendez pas à ce qu’une date prenne le pas sur l’agenda de Verseau pour sauver le monde de la corruption et des maux, afin que vous puissiez vous joindre au combat et en faire une sortie. En tant que signe de réseautage et de groupes sociaux, les Waterbearers sont constamment entourés de nombreuses personnes différentes, de sorte que les types jaloux ne sont pas vraiment leur tasse de thé. Vous devez être à l’aise avec le partage du temps et des attentions d’un Verseau avec leurs nombreux amis dans le jeu de rencontres – vous les aurez rarement jamais complètement à vous-même à un moment donné. Bien sûr, il y aura beaucoup d’excitation sociale et politique avec ce signe, mais vous ne serez jamais capable de «posséder» leur temps ou leur attention. Prenez-le ou laissez-le, c’est l’ambiance chill-rebel du verseau. Une façon infaillible de savoir si un Verseau est ou non en vous est d’observer leur comportement et leurs actions quand vous êtes ensemble. En dépit d’être à la dérive dans une mer d’amis, les Waterbearers sont connus pour leur comportement maladroit et brusque quand ils se sentent les vibrations romantiques, complètement perdre leur sang-froid social et devenir névrosé certifiablement. Attentif que cela puisse être, si vous êtes plus d’un type conformiste traditionnel, n’aiment pas les bizarres, ou sont facilement embarrassés, Aquarius pourrait ne pas être la date de vos rêves. Dans le même souffle, le Verseau pourrait vous paraître indifférent ou sans émotion. Ne laissez pas leur nature distante et spatiale vous tromper, cependant: Ces personnalités peuvent être chaleureuses et affectueuses, mais elles sont simplement tellement en avance sur leur temps qu’elles transcendent l’émotivité dominatrice. Attendez-vous à de longues conversations sur tout et n’importe quoi quand vous apprenez à connaître un Verseau. Ce signe aime se détendre dans leur côté émotionnel plutôt que de plonger dans la passion, et une grande partie de développer l’attraction est la compréhension de votre esprit. Se connecter avec vous sur le plan mental est beaucoup plus important que leur attirance physique ou leurs pulsions sexuelles et ils doivent savoir si vous pouvez suivre leur fléchissement intellectuel. Ils aiment passer d’un sujet aléatoire à un sujet – on ne peut jamais prédire ce qui va sortir de la bouche d’un Verseau, ce qui laisse certains toxicomanes et d’autres exaspérés. Attendez-vous à être traité magnanime si la chance de gagner leur faveur. Verseau ne peut s’empêcher d’essayer de faire plaisir à l’objet de leur affection en tirant tous les arrêts pour vous faire savoir qu’ils ont prêté attention aux petits détails qui vous émeuvent. Même quand ils savent qu’ils échoueront probablement à faire valoir leur point de vue parce que leurs références sont si minutieuses et aléatoires, ils mettront tout en œuvre pour faire un appel artistique à votre cœur. Il n’y a pas d’autre signe dans le zodiaque dont la langue d’amour incarne l’idée que «c’est la pensée qui compte». Les actions affectueuses et affectueuses du Verseau sont toujours rappelées si la relation pourrait devenir cahoteuse, renouvelant votre affection sincère l’une pour l’autre. Les porteurs d’eau sont tout à fait la boîte de personnalité de Pandore. Bien que les natifs du Verseau semblent légers et même superficiels parfois, c’est un signe avec des couches complexes infinies qui les rendent visionnaires futuristes et excentriques. Souvent, Aquarius est intimement convaincu que leur nature excentrique fait obstacle à la compréhension totale de l’autre. Au pire, cette idée fausse peut conduire ces gens à se contenter de moins simplement pour éviter d’être seul. Le Verseau aime aussi choquer les gens et s’écarter du statu quo, alors entrer dans des relations toxiques puis briser brusquement (souvent plusieurs fois) est un passe-temps assez commun pour ces personnalités. Les porteurs d’eau brûlés peuvent aussi être marqués par leurs erreurs du passé, ce qui les rend extrêmement réticents à s’enraciner avec quiconque dans le futur. Bien que le Verseau doive toujours respecter son besoin d’indépendance, c’est un signe qui peut être libéré en rapportant intimement aux autres et en créant leurs propres incursions dans un roman amusant, spirituel et non conventionnel. En amour, Aquarius est préoccupé par trouver un meilleur ami dans la compagnie qui gardera leurs esprits curieux occupé et bourdonnement. De préférence, celui qui est concerné par les questions politiques et humanitaires progressistes dans le monde entier – quelqu’un avec qui ils peuvent profiter des aventures et des rires amicaux tout en partageant des idéaux similaires pour faire du monde un meilleur endroit pour tous les êtres. La communication est extrêmement importante pour l’air signe Aquarius, et la conversation éclairée est un aphrodisiaque à ces personnalités. Les porteurs d’eau sont attirés par les intellectuels qui peuvent suivre leurs esprits et leurs bouches, si vous pouvez sans cesse débiter des points de discussion qui vous fascinent et vous éduquer, vous êtes sur la bonne voie pour séduire ce signe. Assurez-vous de brancher tout l’activisme, le travail de charité et le bénévolat que vous faites aussi; rien ne scelle l’accord avec un Verseau tout à fait comme quelqu’un qui se soucie vraiment des questions de bouton chaud pour mettre leur argent là où leur bouche est. Verseau a tendance à être très attiré par ceux qui sont bien éduqués et bien informés tant sur le plan culturel que politique, s’intéressant presque immédiatement à ceux qui peuvent librement fléchir leurs muscles cérébraux. Cependant, les natifs du Verseau détestent un savoir-tout, croyant fermement que l’on ne cesse jamais d’apprendre tout au long de la vie. Ces gens aiment voyager, donc vous aurez besoin d’être prêt pour une escapade internationale. Les porteurs d’eau veulent quelqu’un qui sait à quel point l’Univers est infini – quelqu’un qui restera assez curieux pour explorer tous ses mystères. Le Corsica Raid Aventure: la Corse pour les sportifs! L’île de Beauté, l’île des saveurs, de la nature: les prospectus vantant la Corse ne sont pas en mal d’éloges. Et on ne peut pas leur en vouloir: tout ce qui est décrit est vrai! Avec le Corsica Raid Aventure, les sportifs y trouvent aussi leur bonheur! Avouons-le, le Corsica Raid Aventure, je n’en avais jamais entendu parler avant de tomber sur une invitation de presse qui me vantait les mérites de cette épreuve qui allie la pratique du sport à la découverte de la nature. Avec, pour corser le tout, une promesse de frissons garantis. Allais-je répondre à cette invitation qui me proposait, l’espace d’un week-end, de me mettre dans la peau d’un raider? Fichtre, goûter à six disciplines (canyoning, vélo tout-terrain, kayak de mer, parcours d’orientation, passages de cordes et course de montagne) en l’espace de 48 heures, voilà un défi bien téméraire pour un presque quadragénaire pas sportif pour un sou! 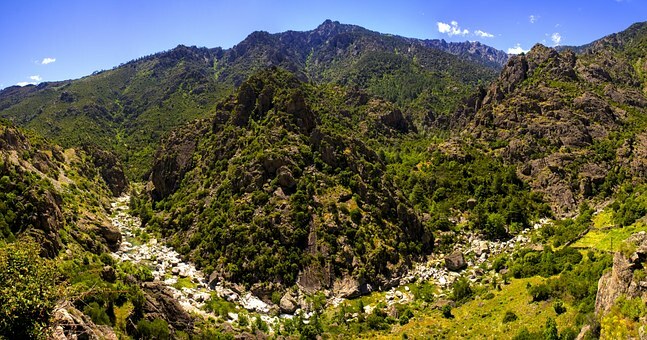 Eh bien, des sensations, les participants à ce Corsica Press Aventure en ont connu durant ces deux jours qui leur ont permis non seulement de tester cette nouvelle forme d’aventure, mais également de découvrir les nombreuses possibilités d’activités offertes aux touristes se rendant sur cette île. Le raider amateur embarqué dans son kayak de mer et luttant contre le chronomètre pour parcourir les quelque quatre kilomètres qui séparent la plage de départ de la ligne d’arrivée est assailli par de multiples pensées. La première relève de l’instinct de survie: faire en sorte que l’étroite embarcation dans laquelle il a pris place ne se retourne pas! Puis, la confiance prenant le dessus, on se surprend à lever le nez et à contempler le paysage. Quitter le golfe du Peru, d’où sera donné, le 22 mai, le départ officiel du vrai Corsica Raid Aventure, puis contourner le cap de Cargèse sous le soleil matinal de ce mois de mars vous permet d’avoir un point de vue tout à fait original sur les côtes corses. Pour un peu, on se prendrait à rêver, à se dire qu’il doit être formidable de découvrir tranquillement une partie de cette île à l’aide de ce moyen de locomotion peu commun, mais finalement assez vite maîtrisé. Alors, se lancer dans une telle expédition, c’est peut-être également une manière de tester ses limites, d’effectuer un retour sur soi. Participer à un raid, c’est une expérience extraordinaire. Je crois que c’est une thérapie personnelle, explique ainsi la Québécoise Nathalie Pelland qui vient de terminer le Elf Authentique Aventure qui s’est déroulé au Brésil et qui constitue également une référence pour les amateurs de sport extrême. Aude, qui fait partie de l’équipe du Corsica Raid, confirme cette volonté des participants d’aller au bout d’eux-mêmes. Ce sont des gens entraînés et pourtant, si vous voyiez dans quel état certains se mettent…, explique la jeune femme. Il n’est toutefois pas nécessaire d’en arriver là pour apprécier ce genre d’effort. L’épreuve est ouverte à tous les sportifs qui s’entraînent régulièrement. D’ailleurs, outre l’aspect performance, d’autres critères comptent. Le parcours se dispute par équipes de trois ou quatre personnes. La cohésion du groupe, la complémentarité de ses différents membres sont également des atouts capitaux. Les courses dans le maquis corse font par exemple plus appel aux dons d’orientation des concurrents qu’à leurs pures qualités physiques. Laver soigneusement les pommes de terre et les éplucher. Les râper, mais pas trop finement. Les placer dans une mousseline et bien presser. 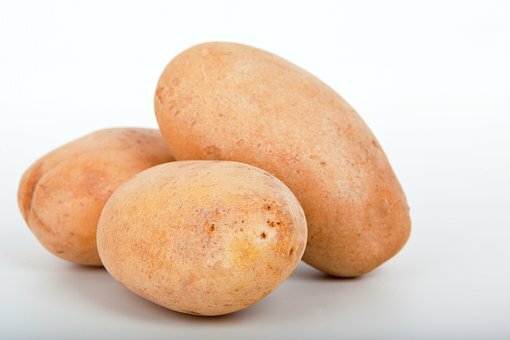 Attention, les pommes de terre ne doivent surtout pas être trop humides. Râper finement l’oignon directement sur les pommes de terre. Battre les oeufs et les mélanger avec la farine et le sel. Les ajouter aux pommes de terre est mélanger le tout jusqu’à consistance veloutée. Enfourner une plaque dans le four et préchauffer à 100 degrés. Faire chauffer le beurre à rôtir ou le saindoux dans une grande poêle antiadhésive. Y déposer l’apprêt aux pommes de terre à l’aide d’une cuillère à soupe et aplatir chaque portion en galette (ne faire cuire que trois à quatre galettes chaque fois). Faire cuire sur feu moyen jusqu’à ce que les bords commencent à croustiller. Réserver au chaud, dans le four. Servir les galettes aussitôt, directement de la poêle si possible. Accompagner de compote de pommes, de choucroute, de compote aux raves, de sirop de betterave ou de pomme ou tout simplement nature, avec un peu de sel et du pain noir beurré. Comme les galettes de pommes de terre sont meilleures directement au sortir de la poêle, il est conseillé de travailler avec deux poêles. Remplacez la farine par de la fécule de pommes de terre. Comment préparer d’authentiques galettes de pommes de terre? Si l’on pose la question à nos voisins du nord, on reçoit autant de réponses que si l’on demandait à nos compatriotes quelle est la vraie recette du rösti. En outre, le nom de cette recette – le plus usité étant «Kartoffelpuffer» – connaît tant de variations que l’on en remplirait une page entière du dictionnaire. Mais l’appellation de ces galettes n’est pas la seule à subir des changements, les ingrédients se modifient également suivant la région. On en supprime un pour en choisir un autre et inversement. La forme, l’épaisseur et les accompagnements connaissent aussi des fluctuations, ce qui est le cas de toutes les recettes que l’on se transmet oralement, de génération en génération. On n’est pas non plus d’accord sur le fait de savoir si les galettes doivent plutôt être épaisses et moelleuses ou fines et croustillantes. Bref, à chacun ses galettes, la seule chose importante est de les déguster bien chaudes, tout juste sorties de la poêle. © 2019 un fille comme moi. All rights reserved.